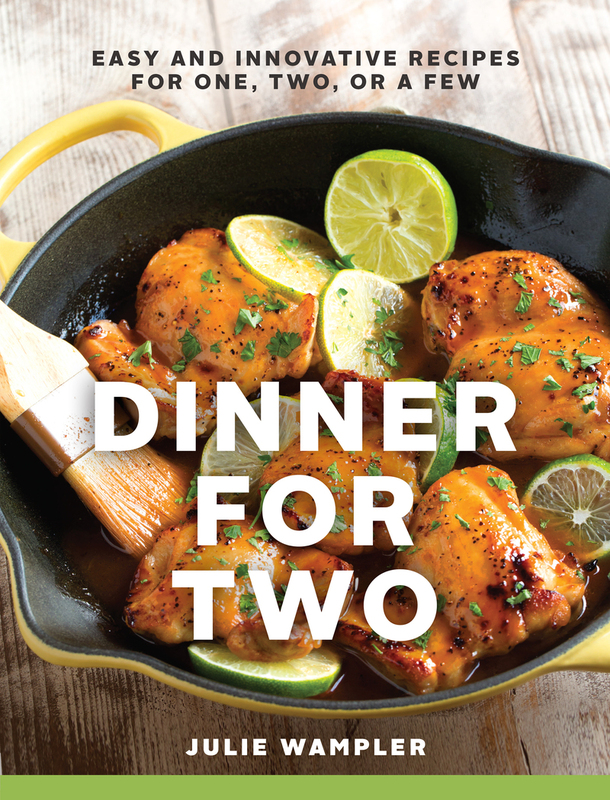 There's something for everyone in Dinner for Two including breakfast for dinner! Julie Wampler is a full-time web developer turned recipe developer, blogger, and photographer. She created her food blog, TableForTwoBlog.com, in 2011 to share her love of food and cooking with the world. Her recipes and photography have been featured in many publications, including The Food Network Magazine, Better Homes and Gardens, The Huffington Post, and Buzzfeed, and she was named Blogger of the Day on Anderson Cooper Live. Her recipes are quick, easy, and above all, inspiring and delicious. Julie lives in the Washington, D.C., area with her husband.